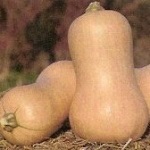 Slightly smaller fruit than Waltham Butternut. Very productive. Compact vine.